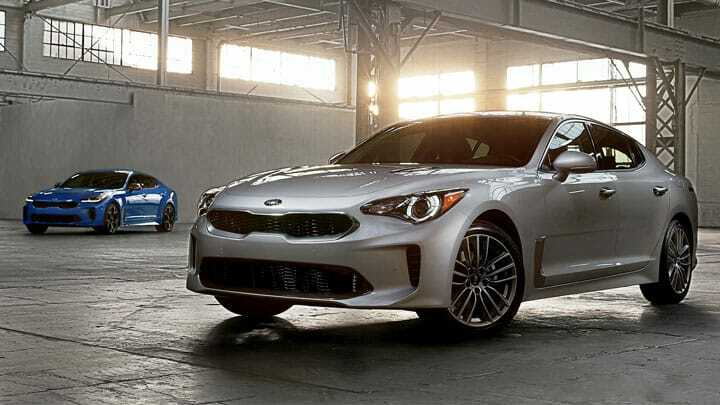 The new2019 Kia Stinger models are finally here and you can find the new models with our new and used Kia dealership. Chantz Scott Kia, conveniently located in Kingsport, Tennessee, has a range of auto resources to take advantage of, including financing options so that there are no delays in your 2019 Kia Stinger acquisition! Building on its previous model, the new 2019 Kia Stinger is racking up all the accolade, as its inner beauty and luxurious comforts have all the experts praising this GT. This authentic grand touring sports sedan offer a fastback silhouette that will leave a jealous wake behind you. Contact Chantz Scott Kia to schedule a test drive and get behind the wheel of the new 2019 Kia Stinger today! The cocoon-like cabin of the 2019 Kia Stinger features an array of amenities that are all designed to enhance your on-road experiences. The metal-ringed gauges ensure all pertinent driver information is easily legible while the aircraft-style spoked vents keep you cool. Contact our Kia team about how you can equip your Stinger with ultra-soft Nappa leather seats! The Stinger offers exceptional handling and holds the honor of being Kia's first sedan with available All-Wheel Drive. It also boasts a new Dynamic Stability Damping Control suspension and an 8-speed automatic transmission that offers five drive modes. The 2019 Kia Stinger is one impressive ride! And more! Get in touch with Chantz Scott Kia to learn more about the safety systems that are standard or available on the new 2019 Kia Stinger! We look forward to meeting and helping you get behind the wheel of the new 2019 Kia Stinger.